Hello, and welcome to ZoomBucks! We’re back after a four-year hiatus, and we’re happy to report that we’re better than ever. While that may seem like a lofty claim at best, this post aims to thoroughly discuss what exactly makes us better. In the pursuit of online rewards sites that are actually rewarding, we’ve decided to step up our game in the following areas. Answering surveys should be worth your time and effort, so we’re here to make sure you’re properly compensated for them. As a result, our survey payouts have significantly increased, allowing for faster cashouts. We’re talking about over 80% more on the average with ZoomBucks surveys compared to others’! Our surveys always have their points values listed so you will immediately get an idea of how much you will earn on a single survey. And now it’s easier than ever to cash out – at just $3 for a minimum threshold! You can request for a PayPal payment as soon as you’ve made 3,000 points, which means that you can expect your reward within 48 business hours. Over a hundred reward options – worldwide! ZoomBucks now has over 150 (and counting!) reward options available, so you have a great menu to choose from. You can opt to get paid in cash via PayPal or Skrill, or choose from hundreds of gift cards – whether it’s for gaming, shopping, or your favorite apps. Some user favorite rewards include gift cards for Amazon, Target, eBay, GAP, Walmart, Fortnite, Steam, Google Play, iTunes, and more. What’s more, anyone in the world can sign up for free to ZoomBucks and be rewarded for easy, doable tasks. We are still adding rewards as we speak, so watch out for them! ZoomBucks only works with trustworthy survey providers and partners. This has resulted in some of the highest payouts for surveys, thanks to these legit companies that value what you have to say about their products and services. Some of our survey providers include over 20 popular daily and unlimited survey routers, including Your Surveys, Live Sample, Global Test Market and more. In addition, we have many survey walls to choose from – PeanutLabs, TapResearch, RevenueWall, TheoremReach, SaySo Rewards, and Pollfish. You can also choose to complete offers from our legit and high-paying partners. Some of them are Acorn, Adgate, AdWall, Fyber, GrabRewards, OfferToro, RadiumOne, Revenue Universe, Persona, Trialpay, and Wall Ads. Simply sign up for the ones you like, and opt for paid or non-paid trial offers, to test apps, visit websites, or even take cashback offers! We have hundreds of direct offers and apps as well. The more offers you take, the more you will earn. A third great way to earn from our partner companies is to watch their videos. Basically, these partners advertise and pay ZoomBucks for providing their ads guaranteed exposure to users such as yourself. So when you view videos from companies like Adscend, Jun, and GrabRewards videos, you can start earning points and redeeming them for you favorite rewards, in turn. Now we’ve made it a little easier for you to track your (and other users’) earnings at ZoomBucks. Our home page features a live feed that allows users to see exactly what offers are being credited in real time – from different countries all over the world. You will get to see which rewards are the most redeemed, and which tasks have just been completed (along with how many points have been made per task). Again, welcome to the new ZoomBucks, and we hope that you will enjoy your stay here! Sono molto felice di essere un membro di ZoomBucks,un caro saluto a tutti gli altri e a voi del sito. ZOOMBUCKS!Rocks,that says all.several ways to when money,they payout within 48hrs.,and they walk you through everything giving ones self a head start.You can’t lose. Thank you so much Zoombucks. Hi….. myself Pradeep. I am new to this site of ZOOMBUCKS with lot of expectation. Thanks. Welcome back, but I could’ve sworn you have changed to Grabpoints. Nice to have you back. Interesting. I was a member of Zoombucks when it was owned by another site or was a site all by itself. I became a member of Grabpoints when Grabpoints bought Zoombucks. Now I am a member of both Grabpoints and Zoombucks. Interesting. 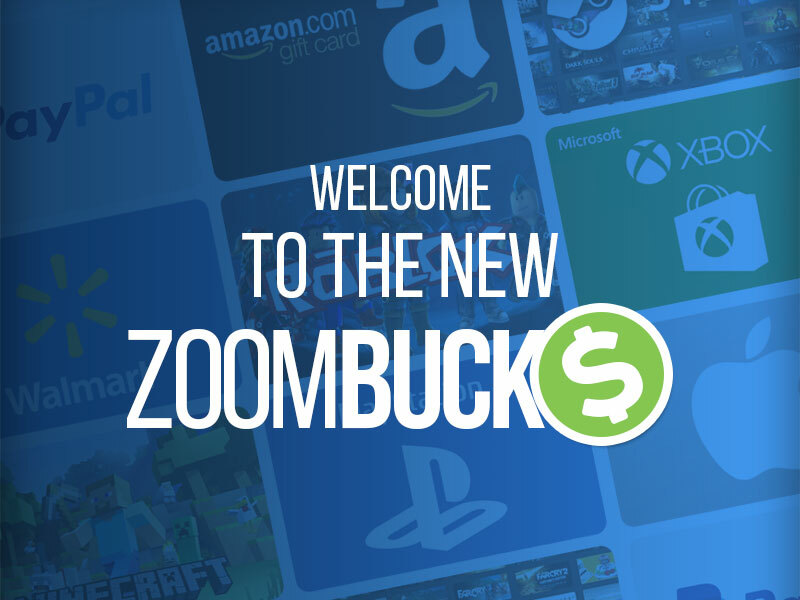 I’m new here and I’m looking forward to earn extra income by Zoombuck. God bless us all. Hi Zoombucks. Thanks for zoombucks. I think this really a cool site for earning extra bucks. I hope to get an awesome experience, and also hello to all members. I’m a student who needs a bit of money haha being broke is not fun i guess… thank you zoombucks for giving us a chance of earning a bit of money this way, is pretty fun! Thank you zoom bucks. Now paying for my studies. this is great, easy way to earn! An Interesting way to make some money. It’s fun as well. Thank you Zoombucks I already like it. I hope other people create an account of Zoombucks. God bless Zoombucks. Estou conhecendo hoje, estou achando muito legal. Explorando quadro a quadro !! !